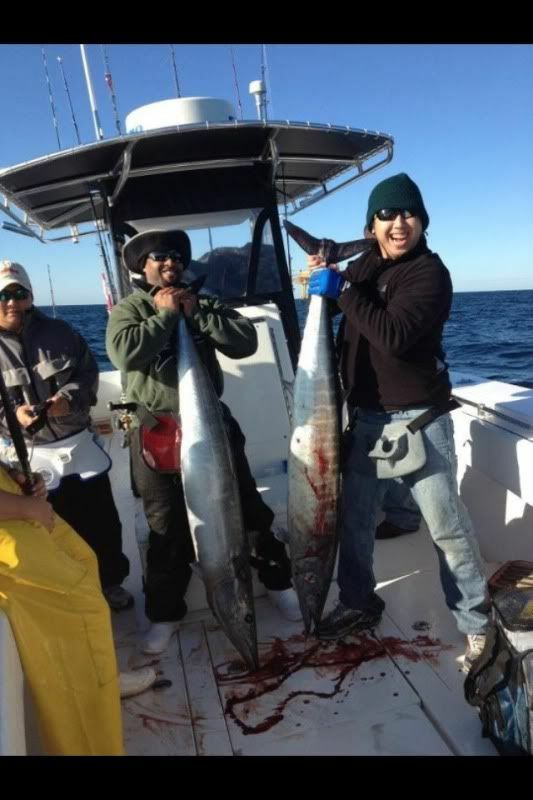 I took Doug and his buddies out on saturday for some wahoo tuna action. 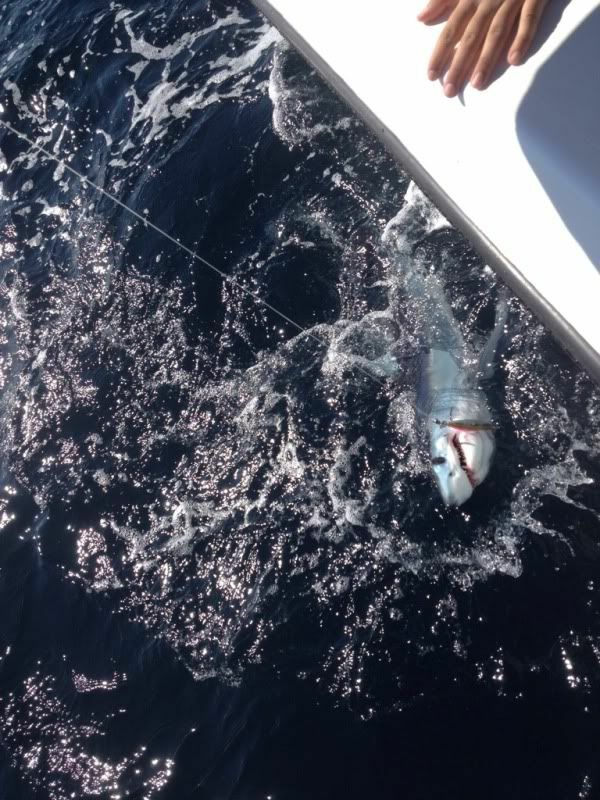 We cleared the pass and six miles out in 200 feet of water we came upon a bunch of tuna balling up pogies in open water. Mostly jumbo blacks but I am sure there were yellowfins somewhere around. There were tuna busting all around us. We put a few blackfins in the boat and then continued out to the wahoo spot before all the boats showed up. 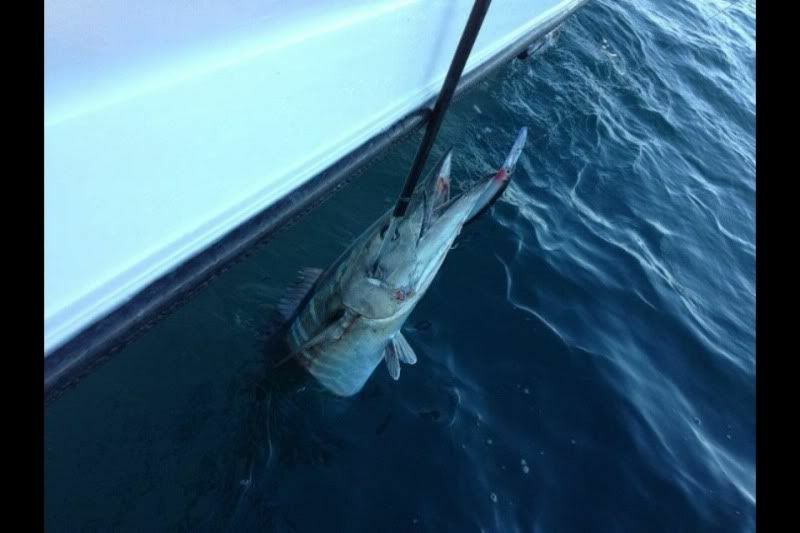 Too late boats were eveywhere and so were wahoo I saw at least a dozen wahoo skyrocket around one rig and there were plenty more under the water too catch. 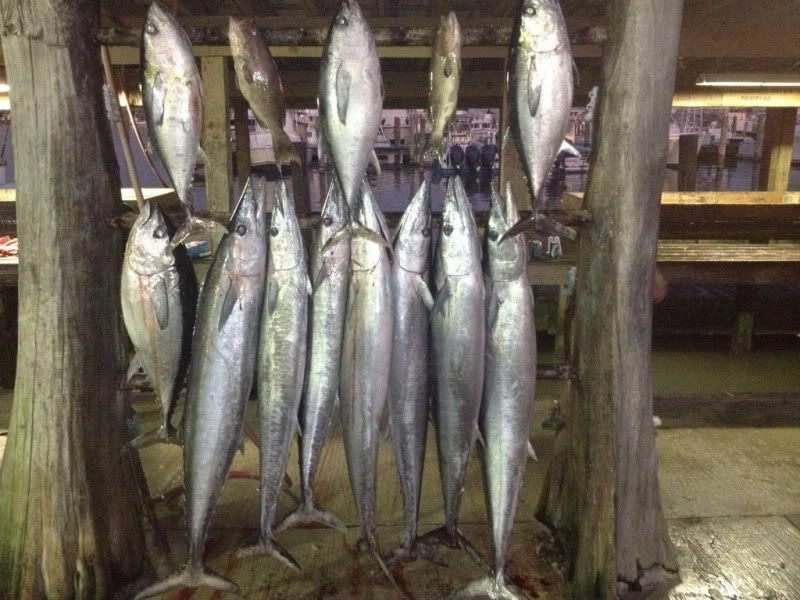 With all the traffic around it made things a little more difficult to get a bite but we ended up putting 7 wahoo in the box on a combination of bombers and xraps After that we tried and tried to get an amberjack and some scamps but that just wasnt going to happen. All my good aj spots continue to be loaded up with jack crevelles. We did pull a couple scamps out but that was it. The surprise of the day was caught on a jig for sure and it was a first for me. 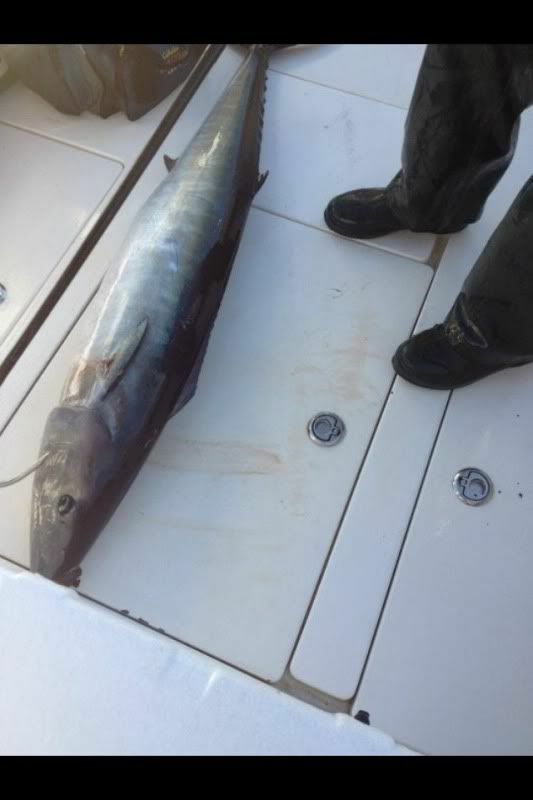 I was trying to jig up wahoo and one of the guys got a solid hookup and you could tell it was kinda heavy but it didnt run like a wahoo or blackfin. It came up on the side and I saw a sharkfin and was dissapointed. Then it got a little closer and it was a tiny mako that had eaten the jig. I got one good picture of it at the side of the boat before it chewed through the assist hook. It was only about 20-30 pounds I would guess.